Is the MRI lie detector test reliable? You’re immobile, lying prostrate inside a cylindrical coffin. Claustrophobia begins to set in. Your brain throbs as deep pulses of sound emanate from the sloping beige walls, slowly suffocating you with their pressure. Getting an MRI scan isn’t generally pleasant, but it’s considered important enough to be endured — better to be subjected to an hour of incarceration than to miss a diagnosis that would otherwise remain cloaked in mystery and layers of flesh. 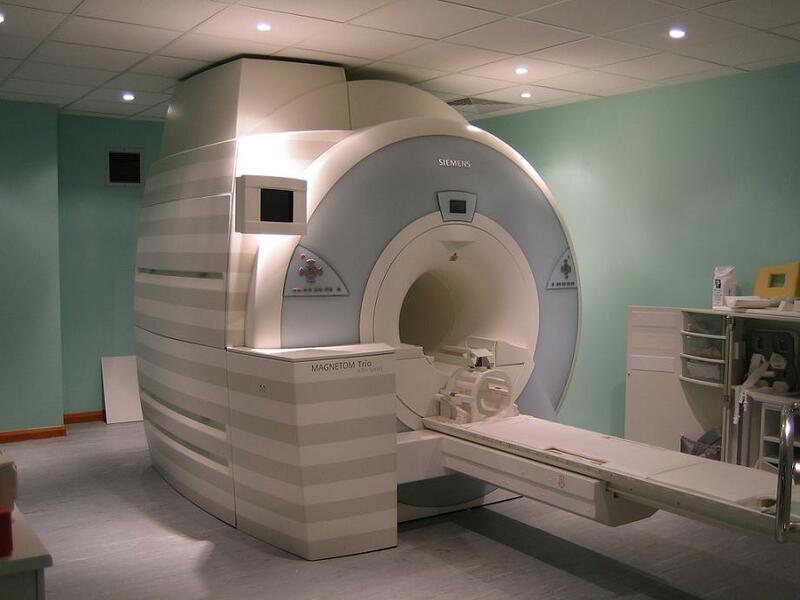 Patients put up with magnetic resonance imaging because it’s an essential diagnostic tool. But there are still limitations to the technology — limitations that, if addressed, could further validate the sometimes-frightening imaging experience by dramatically improving doctors’ ability to diagnose disease. Researchers are closing in on improvements to MRI technology based on a new generation of contrast agents, materials used to enhance the visibility of bodily fluids and structures in medical images. One, it turns out, is surprisingly common: It’s simply hydrogen. While current contrast agents like the metal gadolinium are good at illuminating brain tumors and the gastrointestinal tract, a special form of ubiquitous hydrogen gas promises to deliver clearer images of MRI trouble spots like the lungs and circulatory system, all at blazing speeds to hurry along diagnosis. MRI fails to deliver perfect, clear images of brains and bowels because each pixel is based on many, many measurements of tiny blips of energy, explains James Canary, a chemist at New York University who is developing new contrast agents. Those blips are released from hydrogen molecules in the water in your body. Different areas of the body have slightly different levels of water, allowing doctors to tell the difference between, say, a healthy, jelly-filled disc between your vertebrae and a collapsed, herniated disc. But the individual signals are so small that they can be obscured by random noise from jittery molecules nearby. Images improve when doctors can find a way to increase the strength of those blips of energy to drown the noise, a process called hyperpolarization. In an MRI, hydrogen molecules release energy when their spins — the rotation of their nuclei around magnetic poles — are pulled in line with the MRI’s magnetic field and then released to their natural orientation, like the arrow of a compass in the presence of a magnet. Hyperpolarization occurs when lots of molecules are pulled out of that natural orientation, Canary says. Together, they let out a collective electromagnetic sigh as they relax to their normal position, releasing more energy blips for the MRI to detect and translate into a gray-scale photograph of your insides. At first glance, hydrogen seems an unlikely candidate for an imaging agent because there’s already so much of it scattered throughout the body. Its imaging power emerges, though, when you take a closer look at its structure, says Francesca Gruppi, a post-doctoral scholar in Canary’s lab at NYU. Highly flammable hydrogen gas exists in two different forms, because it’s made up of two hydrogen atoms, each of which has its own, independently rotating nucleus. When two hydrogen atoms are bound together, their nuclei can either be spinning in the same direction, forming so-called orthohydrogen, or they can be spinning in opposite directions, forming the far more interesting molecule: parahydrogen. Inside the giant magnet of an imager at the hospital or in the slightly less giant magnet of a nuclear magnetic resonance (NMR) spectrometer in a chemistry lab, parahydrogen is totally invisible, says Alex Pines of the University of California at Berkeley, a leading NMR expert. Because parahydrogen has nuclei spinning in opposing directions — both with and against the larger magnetic field of the imager — its two signals cancel each other out, leaving zero net signal. But that invisibility can be manipulated, paradoxically, to release massive amounts of energy that can be read by the scanner — an idea that Pines calls “the holy grail of NMR spectroscopy.” If parahydrogen’s special, oppositional symmetry is disturbed by tearing apart the two hydrogen atoms and sticking them onto another molecule, the previously invisible parahydrogen releases 10,000 times as much energy as normal hydrogen when it is tweaked by the MRI’s magnet. That electromagnetic punch then gets transferred to other molecules. “It’s like having a magnifying glass for the system,” says chemist Nick Turro of Columbia University. According to Pines, the advantage of using parahydrogen as a contrast agent lies mainly in its economy. The theory behind the quantum behavior of those spinning molecules is quite complicated — Malcolm Levitt, author of seminal NMR reference Spin Dynamics, says that for the most people, including researchers, “it’s just like magic.” But the method is incredibly easy to put into practice, at least in the chemistry lab. At NYU, Canary’s parahydrogen rig is cobbled together on a small rolling cart. A tank of hydrogen gas is attached to snaking copper tubes, which get cooled by a vat of liquid nitrogen, frost forming on its surface. A switch installed on the top of the rig flips on a pump, which bubbles the chilled, parahydrogen-enriched gas into a liquid sample of a molecule to be measured by the NMR spectrometer. The bubbling, along with a catalyst, breaks apart the hydrogen molecule and attaches the atoms to the molecule to be measured, releasing the energy locked up in those opposing spins. In the lab, the process amounts to nothing more than a few notably high peaks on a graph. But in an MRI, those blasts of energy provide stronger signals that will translate into faster procedures and more detailed images. While other preliminary animals studies have successfully imaged pig lungs and even the accelerated metabolism in tumors, there are still many steps left before parahydrogen can be applied to human MRI. “The next big jump,” says Turro, “is making sure that it doesn’t cause any problems.” The carbon-labeled molecules used in Golman’s proof-of-concept study were combined with acetone, which made the imaging effective — but lethal. Later studies fixed that problem, using molecules that are water-soluble and therefore much safer. But actual safety trials have yet to be done. Turro also emphasizes that while parahydrogen enhances the strength of molecules’ molecular fingerprint on an image, that effect is very short-lived; most MRI sessions take minutes to hours because multiple images need to be averaged to get a reliable result. An especially strong signal generally won’t help if it only lasts for a split second. “The longer you can maintain the signal in the system, the longer you have to make the measurement,” Turro says. And the longer the measurement takes, the more detailed the image will be. That problem was recently dealt a blow by the Canary lab, in a group led by Gruppi. Using a soapy, bubble-filled solution, the chemists reacted parahydrogen with a nondescript molecule that would allow parahydrogen to break apart and release its energy. The increased surface area provided by the bubbles allowed more space for the molecules to react, producing a strong NMR signal that lasted as long as five minutes — “much longer than usual,” says Turro. While the group claims that this signal extension is among the longest ever achieved, Turro emphasizes that a world record isn’t the point — because it will soon be broken, and indeed must be broken. In order for parahydrogen to be useful in MRIs, its signals will have to last for minutes, or even up to an hour. Parahydrogen isn’t the only player in the world of MRI enhancement. “There’s now intense interest in a variety of NMR methods for enhancing signals,” says Levitt. At least two other methods are being explored by other groups. At UC Berkeley, Pines is focusing on the use of xenon, which is especially good at getting images of lungs. Another promising method that requires extremely low temperatures has been used, like parahydrogen, for angiography. All three techniques have the potential to be used to produce clearer images of the internal workings of your body. Parahydrogen has some obstacles to overcome, including the fact that it has to react with some other molecule in order to release its monumental energetic signal. But it has time on its side. As Levitt explains, all the other signal-enhancing methods require hours of preparation to get to the same level of enhancement as parahydrogen, which is ready to be injected in a split second. All the better to keep your stay in the doughnut-magnet of doom as short as possible. Katie Palmer graduated from Williams College with a B.A. in chemistry and a concentration in neuroscience, though her classmates knew her best as “that cellist.” Guided by interests in cognitive science and neuroscience, she has probed rat brains for hints of anxiety traits and attempted to reconcile consciousness with the reality of the nervous system. Katie hopes to follow these topics and more in the process of bringing science to the public. You can follow her on her personal webpage or on Twitter. You might want to use a picture of an MRI scanner for a story about MR contrast agents. Many of these ‘doughnut shaped’ scanners look similar (CT scanners, PET scanners, MR scanners, and, what you’ve got pictured, a specialty radiotherapy device), and the distinction might be lost on many readers, but you wouldn’t expect to see a picture of a Hyundai in an article about German automobile manufacturing, would you? Duly noted, Tobias. The image has been switched to an actual MRI scanner. And I’m sorry to have let myself get overrun by eye-candy semantics, I very much love your article! This is an exciting time in MRI, and contrast agents are a critical element of future advancements. Lest we forget, CT scans (some of which were an hour or more at roll-out) can now be administered in fractions of the time that they used to take. MRI is undergoing a similar growth-spurt, with improved scanners, coil systems, and the promise of radical new contrast agents. This is a very fascinating and important news not only from the point of view of physics and chemistry, but of course the MRI, where the energy stored in the anti-parallel spins of the parahydrogen is exploited for the purpose of imaging. It is next only to the original development of the MRI which uses the magnetic field to align the spins of the ortho-hydrogen. Regarded so far as the inert component it reveals the great potential of para-hydrogen.